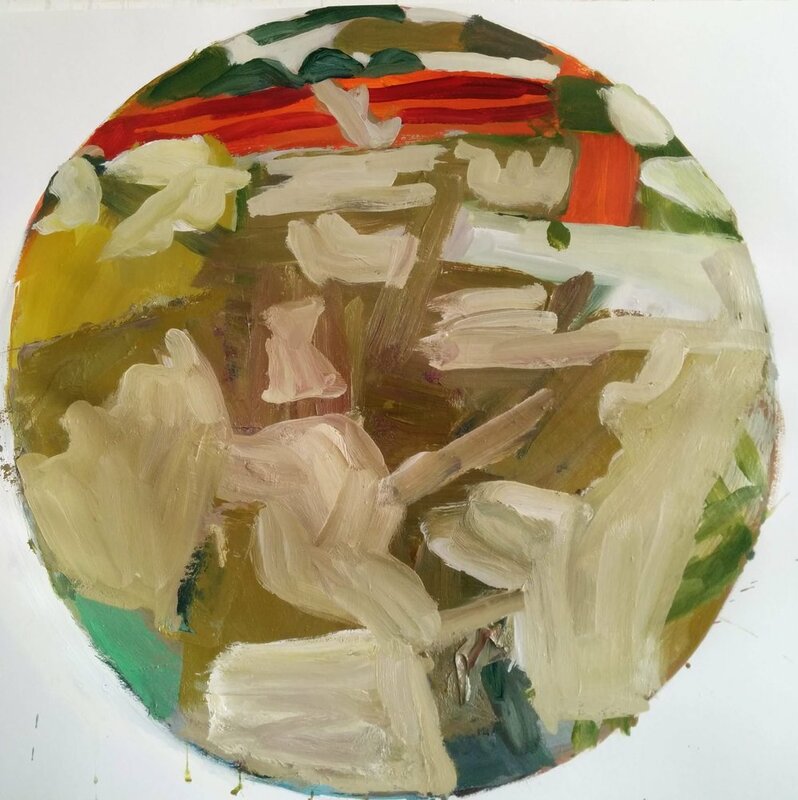 I have been deploying the elements of the recent landscape in varying formats; seeing what happens when things used to make a squarish painting are reused in a circular format, or when a horizontal format is replaced with an upright one. 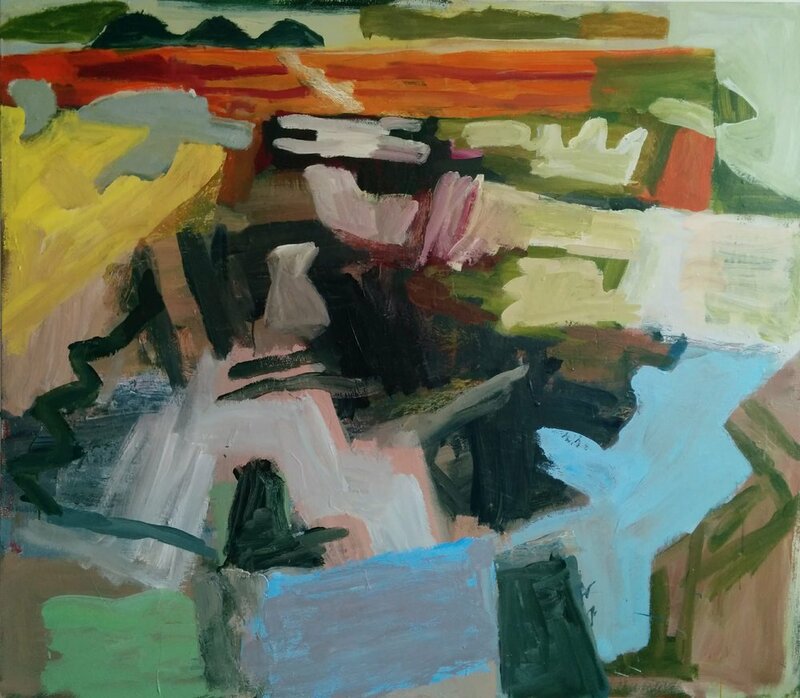 It is less about painting things seen than looking at how those elements that arise in the painting process in the studio can be used to transfigure experience into paint. The drawings supply a vocabulary or lexicon rather than acting an aide memoire to reconstructing a ‘scene’. There is a difference between making a picture and making a painting.